One of the most common upgrades that are done to a home is a bathroom remodel. Space is the room where many people relax at the end of a busy day. However, a bathroom can become outdated. Here are some signs that it is time to consider a remodeling project. When pondering when to remodel, a smart time is when you start to notice mold. If the area around your shower is looking green or black mold may be to blame. If it is a minor case, you will be able to clean the space with bleach. A wise project is to install drywall that resists mold. If mold is a major problem, you should consult with a professional testing and remediation company. When fixtures like a shower or toilet leak water, an upgrade is necessary. Today, many units are friendly to the environment and help to save water. Consider a toilet that uses less water per flush or a shower head that sprays less. Besides lowering your monthly bills, you will be doing something that is good for the planet. If it has been years since your last bathroom remodel, you may be sick of looking at the same vanity or paint colors on the walls. These are cosmetic changes that are easy to complete. Paint is very inexpensive, but it can dramatically change the feel in the space. Numerous vanity styles are available. Some can provide necessary extra storage. If this does not fit into your budget, consider swapping your old hardware for something new. This will create a fresh look for a fraction of the cost. After learning when you should decide to upgrade your bathroom, you may need some remodeling tips. At Columbus Bath Design by Luxury Bath, we will be happy to assist you throughout all of your projects. Our experts will recommend the best solutions for your needs and budget. When you are ready for a change, let us fulfill your dreams. For over two decades, we have provided quality service to residents in the Columbus area. 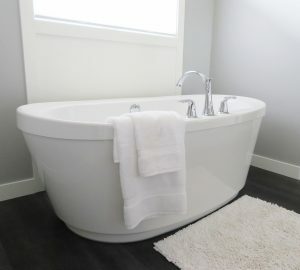 To partake in a Columbus Bath Design by Luxury Bath experience, call to schedule a free in-home estimate today.